As the Junior Academy Boys Director of Player Development David Jordan oversees the training & staff for our Junior Academy Boys teams. 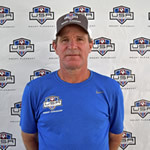 David holds the USSF "A" & KNVB 4v4 Advanced Tactics Coaching Course. Learn more about David on his coaching profile page. David can be reached at 843-480-4478 or david.jordan@usamountpleasant.com.